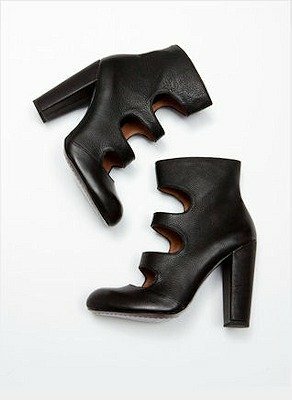 High heel pebbled leather cutout booties. Inner side zip closure. Leather insole and sole. Guaranteed authentic, 1 available.